Omar Hassan analyses why the promise of a radical, democratic alternative to bourgeois parliamentary politics has evolved into a hierarchical party which has abandoned any serious pretence of fighting austerity even before being tested in government. Mick Armstrong revisits the question of broad left parties to draw some conclusions after the experience of Syriza in Greece. 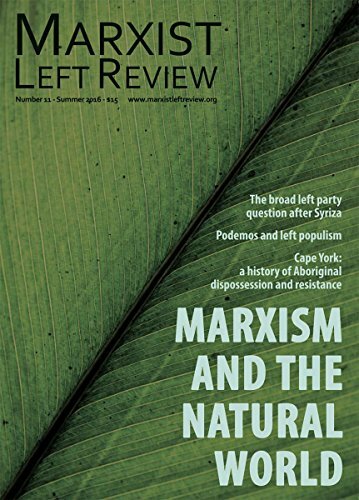 There is a logic inherent in the humanism of Marxism that generates an overarching commitment to environmental conservation, writes Michael Kandelaars. Rebecca Barrigos brings together research by social and oral historians who have recorded a terrible history of Aboriginal oppression in Weipa, Aurukun and Mapoon on Cape York Peninsula. Omar Hassan analyses why the promise of a radical, democratic alternative to bourgeois parliamentary politics has evolved into a hierarchical party which has abandoned any serious pretence of fighting austerity even before being tested in government. Translated by Kristóf Nagy.